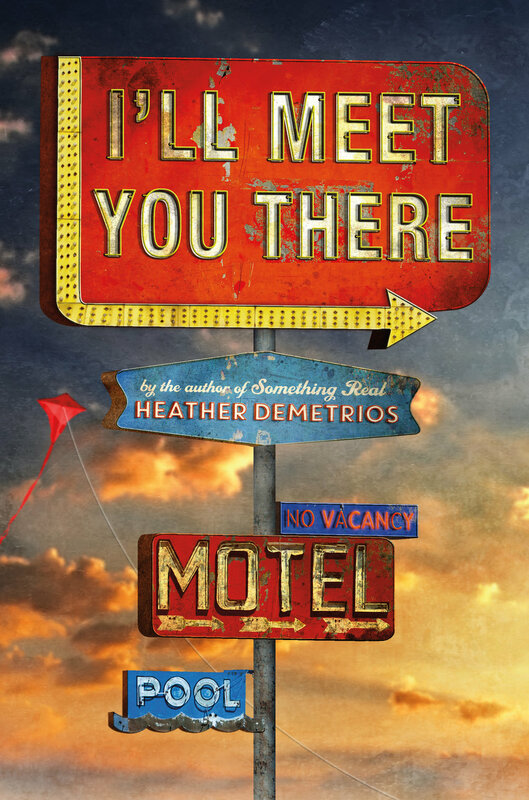 Gritty, romantic, and ultimately hopeful, I'LL MEET YOU THERE explores the complicated lives of an unforgettable cast of characters. This is the story of teens outside the picket fence. It doesn’t soften the edges of adolescence or the individual consequences of war; it’s life on the fringes—maddening, weirdly endearing…and completely screwed up. I often refer to the book you’re holding in your hands as the book of my heart. It is intensely personal and was inspired by seeing my father’s struggle with PTSD and Gulf War Syndrome, as well as some of the challenges I had in my own adolescence. One of the joys of writing for young adults is that we writers get a do-over: as we look into our pasts and mine the pain of growing up, we often return from those dark caves with something precious and rare and glittering. I came back with two characters who broke my heart, then put it back together in ways I never thought possible. I’ll Meet You There was written for several reasons, one of which is that very few young adult novels feature teens who’ve been in the military, or are considering enlisting. This surprises me, given the fact that the military is full of young adults. My brother is seventeen years old, a senior in high school, and I just found out that the Army has recruited him. He filled out all the paperwork before the start of his senior year in high school, except for one last signature. Jake loves fireworks and Pepsi and the Divergent series. When he was a little boy, he used to run around with nothing on except for a huge black cowboy hat. Next summer, if all goes according to his plans, he will be training to work on IEDs in Afghanistan, dismantling the bombs that are responsible for thousands of military deaths and lost limbs. If my brother deploys, then I will have to live with the other reasons I wrote this book: in 2012 alone, there were more suicides in the military than deaths in combat and most of those suicides were young men between 18-24 years old. As of writing this, more than half of the 2.6 million veterans of the wars in Afghanistan and Iraq struggle with physical or mental health problems related to their service, while the VA continues to be underfunded and many veterans fail to receive the quality care they need. I’ve spent the past few years talking to Marines and Soldiers about their experiences in Afghanistan and Iraq. It was an honor to hear their stories. The most important one, however, was my dad’s. When he came home from the Gulf War, my dad was only thirty-one, but he’d lost most of his hair, his teeth, his weight, and his hearing. He drank too much. Started doing drugs. He was sad. It took a long time for people to figure out what Gulf War Syndrome and PTSD were. Back then, we didn’t know how to talk about that. It took me most of my life to realize that there were war wounds that didn’t bleed. I wrote I’ll Meet You There for my dad and for every wounded warrior I’ve talked to or read about or heard telling their story. I also wrote it for the poor kids and the dreamers and everyone who’s been desperate to fight the vicious cycle of addiction and poverty. The novel opens with a Rumi poem, one of my favorites. It is, among other things, an invitation: out beyond ideas of wrongdoing and rightdoing, there is a field. I’ll meet you there. I like to think of books as places where perfect strangers can meet and, if only for a little while, mean the world to each other. Thank you for traveling to my world, and for spending time with Skylar and Josh.